Ever have one of those weeks after which you wonder how you got everything done? Last week was one of those for me. In addition to my regularly-scheduled life, I devoted last week to helping my oldest son get off on his summer adventure. And now that he has safely arrived at his destination, I'm excited to tell you about it. Will is a senior political science and religion major at Duke University. For this summer, he wanted to find an internship for this summer. He particularly hoped to work with the U.S. State Department. And he got what he hoped for. He is now an intern in the Office of the U.S. Ambassador to the Holy See. Yes, you read that right. He's spending the summer working in the Vatican! We aren't Roman Catholic, but we have great respect for the Roman Catholic church. Will is very grateful to have this opportunity to serve and learn right in the thick of things in Rome. 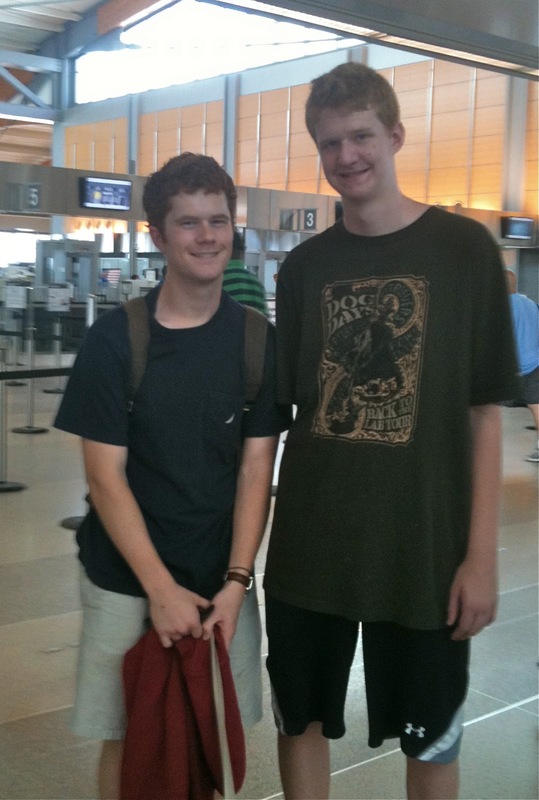 Here are Will and his youngest brother Lee just before Will went through security to catch his flight to Rome. A little closer shot. As you can see, Lee isn't so much a "little" brother. So I'm letting my breath out around here, catching up on all the things I didn't get done while I was helping my precious son get ready for this big adventure. Wow, what an incredible opportunity! God is so good isn't He? Hope your son has a safe trip and a fabulous experience in Rome. You are going to visit aren't you? I would! My son left this morning for a 3-day trip (he's only in the 8th grade) ... such a mixture of pride that he's old enough to take on these adventures, and sadness that he's old enough to take on these adventures! What a wonderful opportunity for your son though! Wow! That sounds like an amazing opportunity to work at the Vatican and to get to spend the Summer in Rome. I hope he enjoys it and that it's not too tough on you with him being so far away. wow!! sending your son off across the ocean! brave mama... and probably exhausted! what an experience this will be for him! i sure hope he'll have time to do do some adventuring on his own as well as the learning!! What a tremendous opportunity for your son! My son and dil spent their honeymoon in Rome and really fell in love with the people and the city. I know your son will enjoy his time there and it's an experience he'll remember for his entire life. 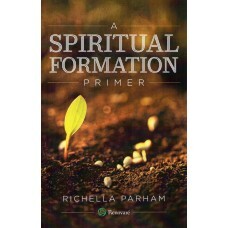 Wow, Richella, what an excellent opportunity for your son - and what courage you have to release him into the world! I'm saying that as a relatively newbie mom of preschoolers, of course. For me it takes courage just to let them ride the playground slides without my help. :) I hope my courage grows as the children grow. Please keep us updated on your son's adventures. Blessings to you and your family today! That really is amazing opportunity! I bet it was competitive to get. Congrats to him! Wow ... bet he will have some great stories to tell. How wonderful for your son, Richella! It sounds like an experience that most people could only dream about. You must be one proud mama! What a wonderful opportunity for him. I hope he enjoys this experience. Congratulations. What a great experience for your son, but I know it is hard on us moms to see them go. Praying for you both! That is just so exciting! It sounds like Will is making good choices and being proactive about his future! Good for him! !